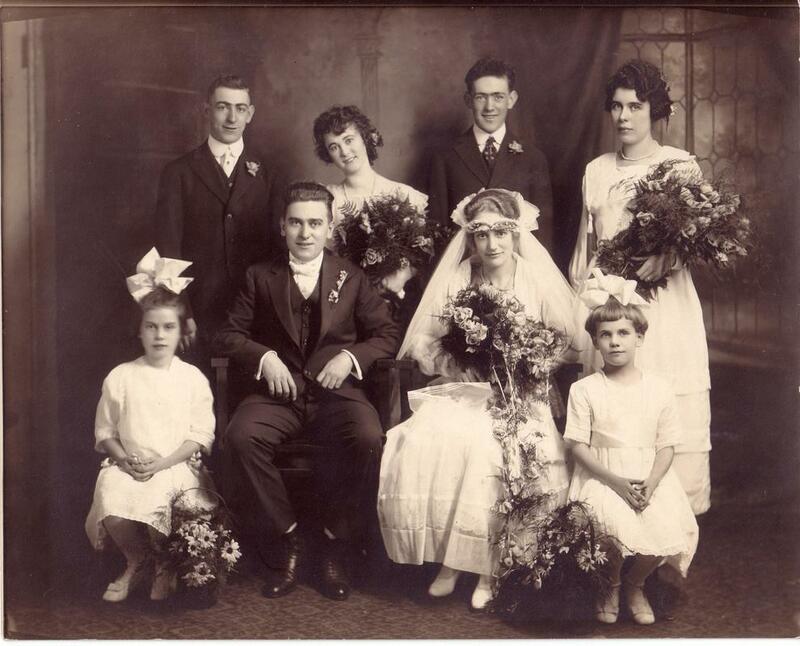 How many years has your venue been established? 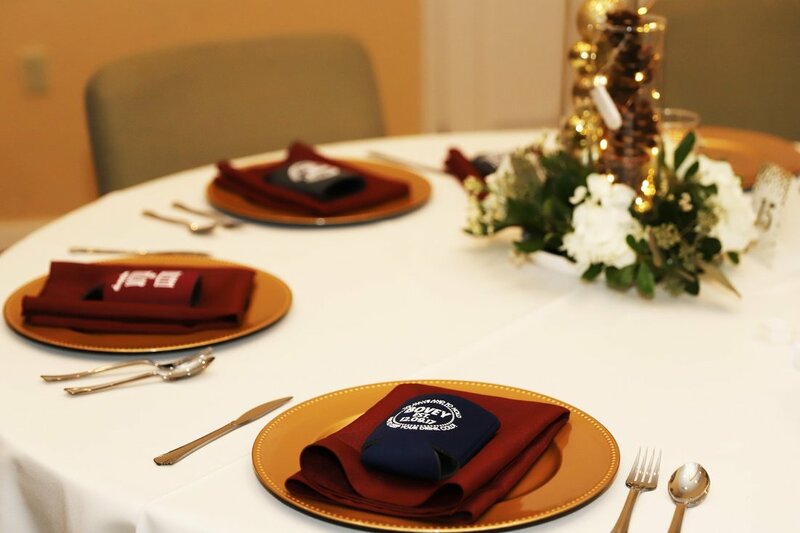 What types of events can you accommodate? 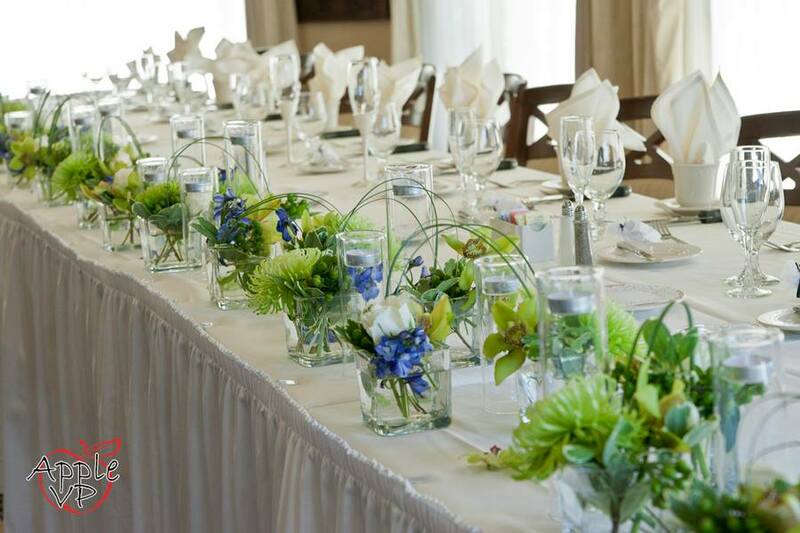 We accommodate all events. Fundraisers, Golf Tournament, Weddings, Outside Pool events, etc. What is your capacity for any event? ​What is your deposit amount to reserve the room & date? What is the food & beverage price range? What are some complimentary rental items you include? 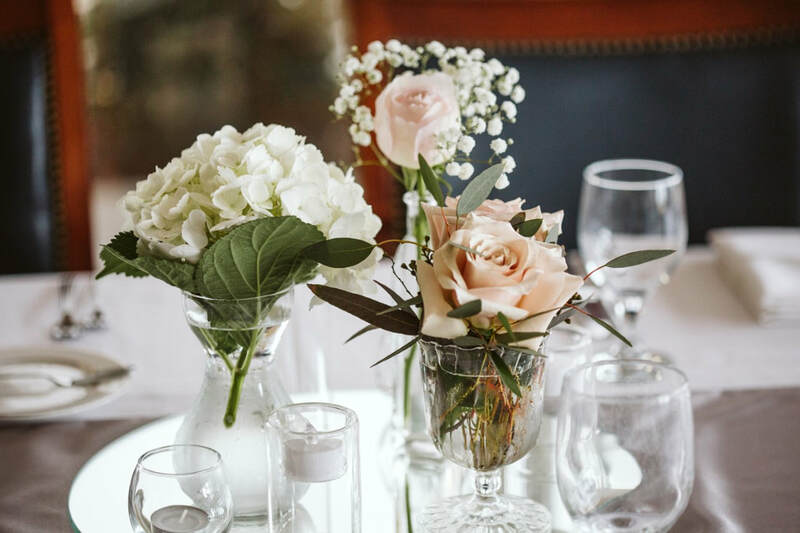 Perks and benefits of booking with your venue? 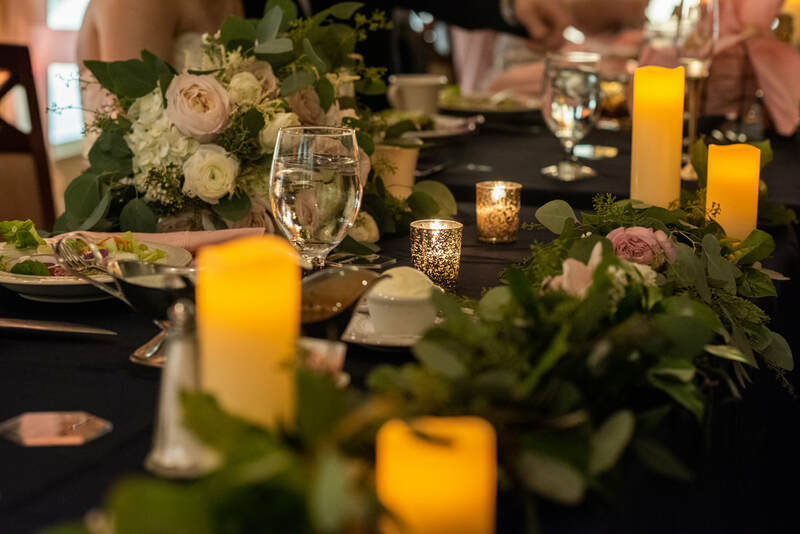 We discount Fridays and Sundays by 10% year round, We have variable food and beverage minimums to meet most budgets, Our Catering team has a combined 20 years of experience just at our venue. 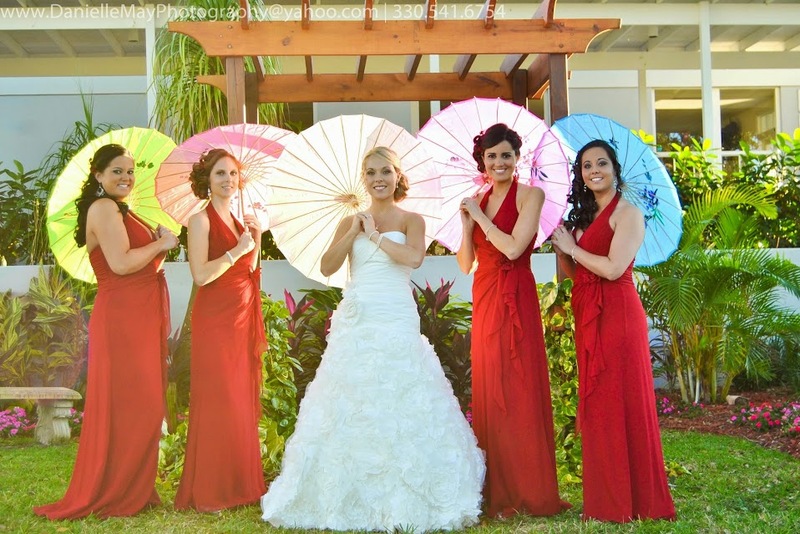 All of the staff that will work your event is an employee of the club and trained by us. Tell us about your chef? ​Chef Culver reigns from the city of New Orleans. 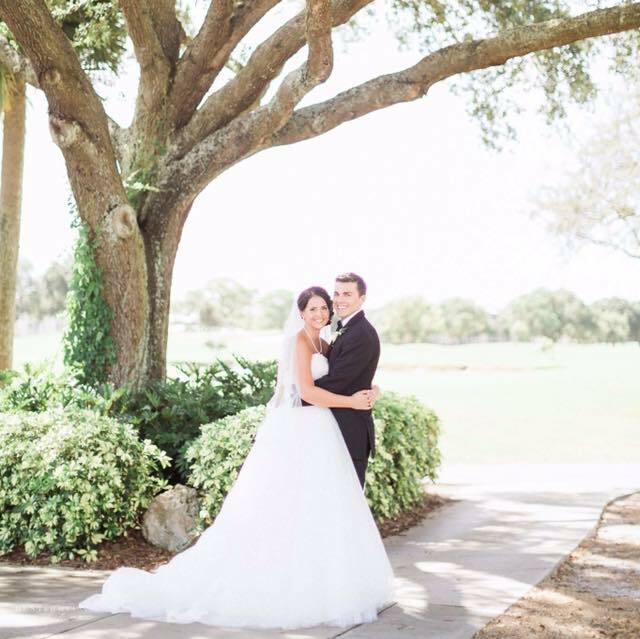 He has 25+ experience in the catering and private country club world. Do you offer any audio or visual equipment? ​We have podium, 4 wireless microphones, and a LED projector & Screen. What are your bar options? ​We have a fully stocked bar year round. You can go cash only or full open and anywhere in-between. 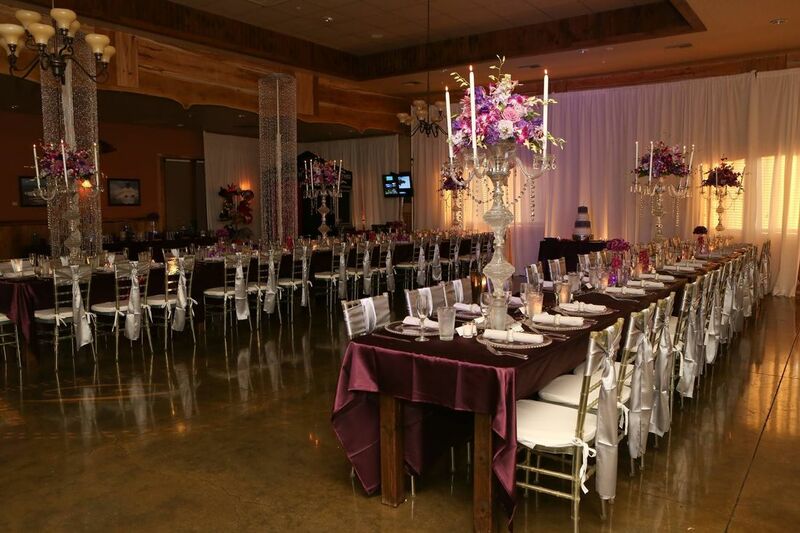 What makes your venue stand out above the rest? 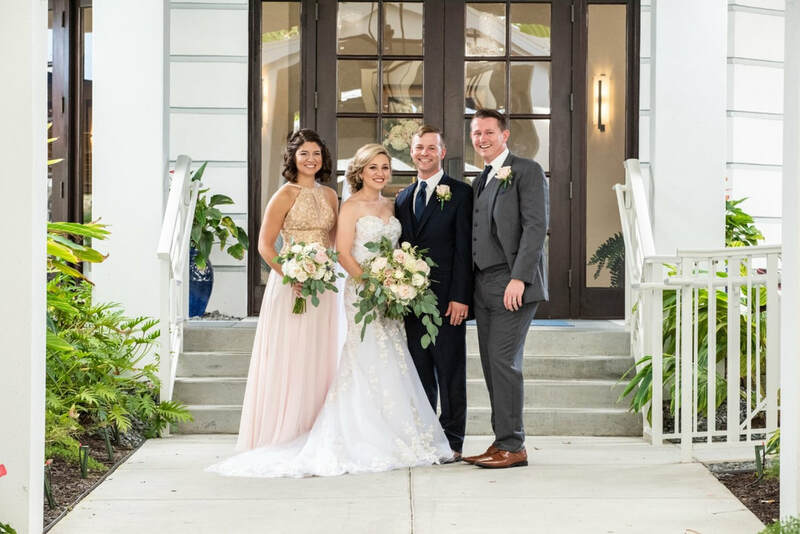 Plantation Golf & Country Club is a premier facility in south Sarasota County with a fantastic ballroom overlooking our beautifully landscaped property and grounds. 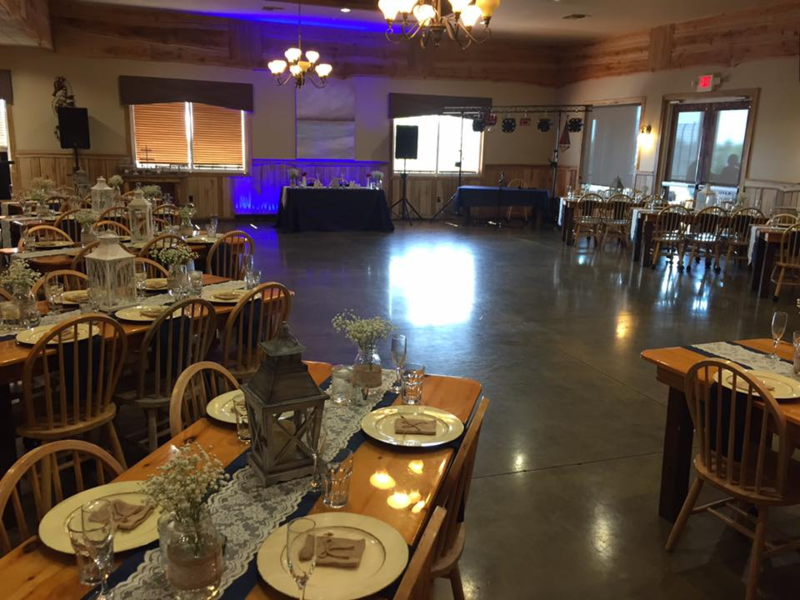 Our banquet facility is expandable to fit groups from 50 up to 500 with a full dance floor space and private bar area as well. The best thing to do is to come in for a full tour of our facility and introduction to our menu and pricing. 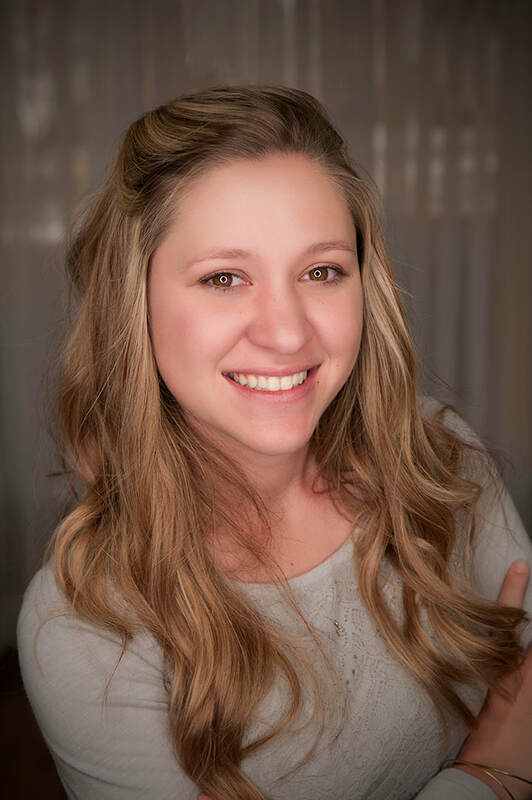 How did you get started in the wedding industry? 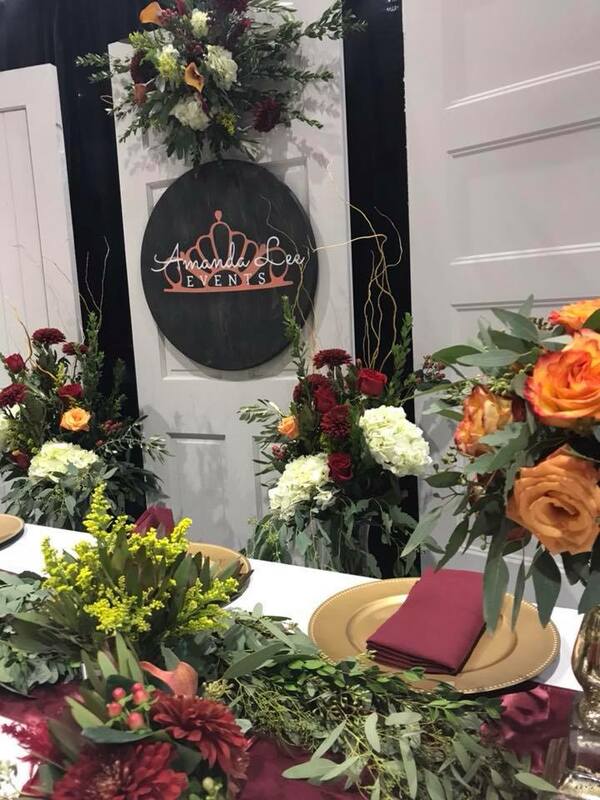 My bachelors degree required 9 credits of paid internships so I started working at In Bloom Florist and began learning the in and outs of the event business from some of the best in the industry. That is when I feel in love with weddings, corporate events, and trade shows. I grew up in a family owned business so when I attended UCF, I really wanted to earn a degree in a field that I could build my own business. I graduated in 2014 with honors from University of Central Florida's Rosen College of Hospitality Management with a B.S. in Event Management. I opened my business in August of 2015 and really started to brand myself in 2017. ​Multiple planning packages from day of coordination to full planning services. 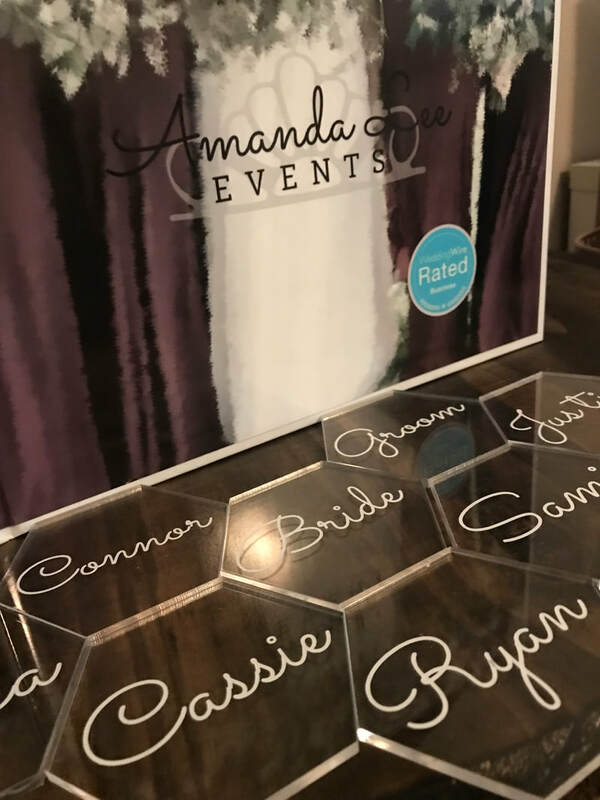 I also offer rental items, custom signs and invitations. 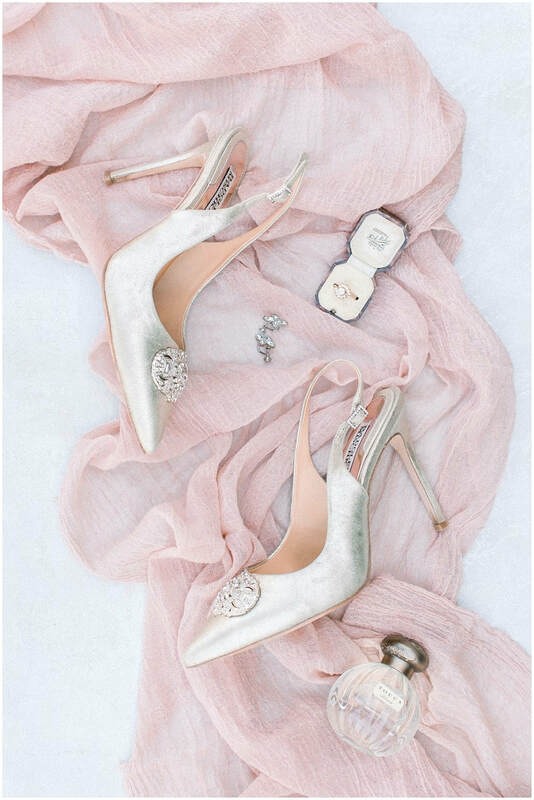 What do you think is currently trending for weddings? This year I think geometric shapes have become a lot more popular. 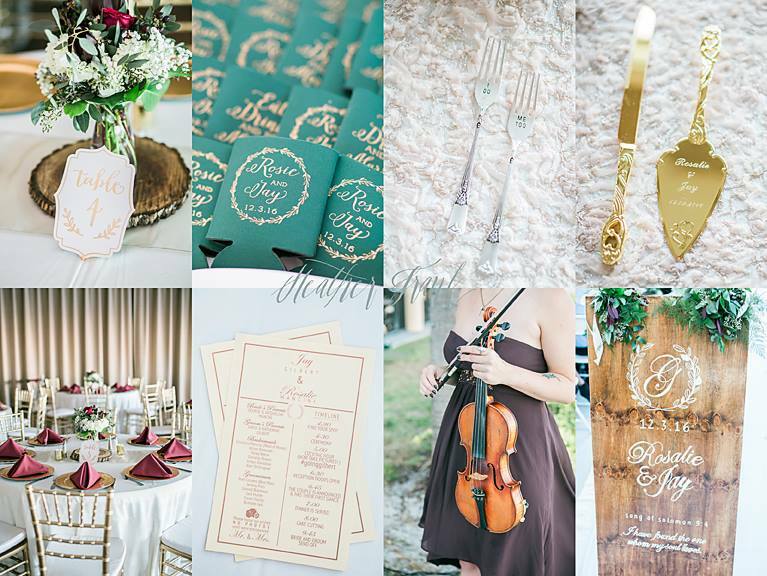 They are being incorporated in design, decor metals, on the invitations and even with furniture. I think with 2019 weddings, less will be more. 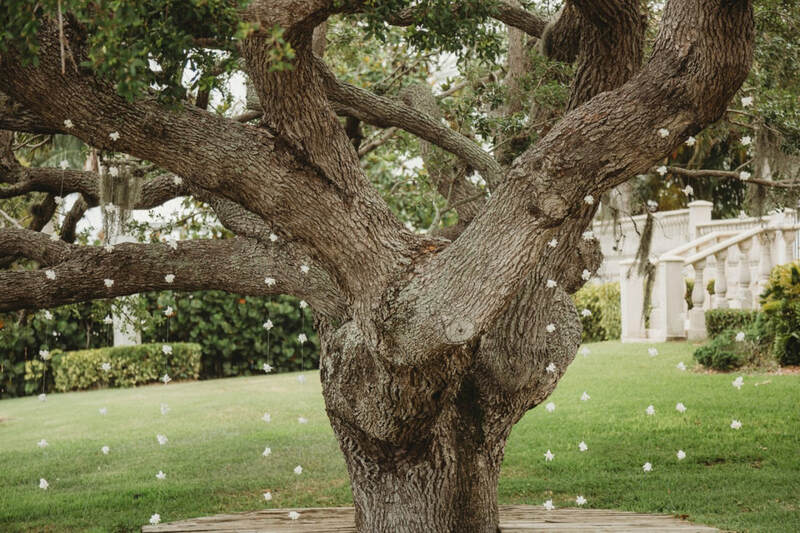 I see a lot of weddings leaning towards having simple more natural looking decor. 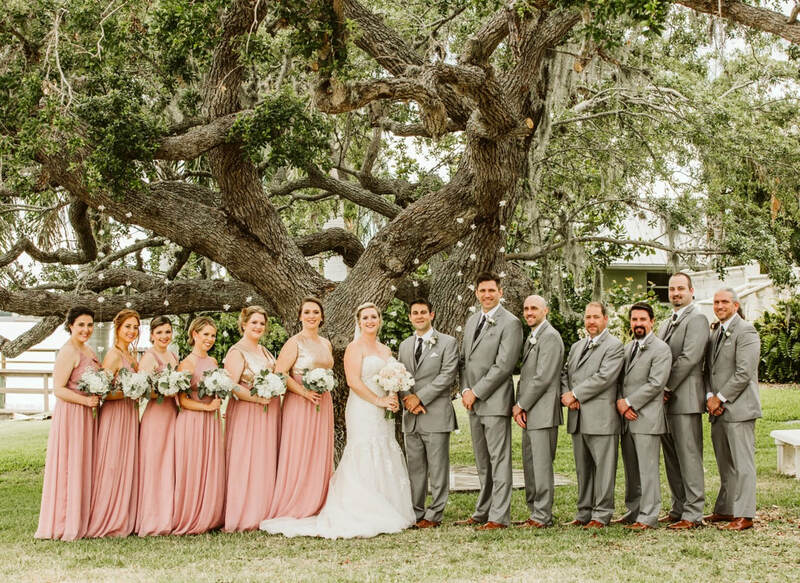 Even the bridal parties attire have been turning towards more neutrals over the loud accent colors and I suspect we will be seeing more of that. 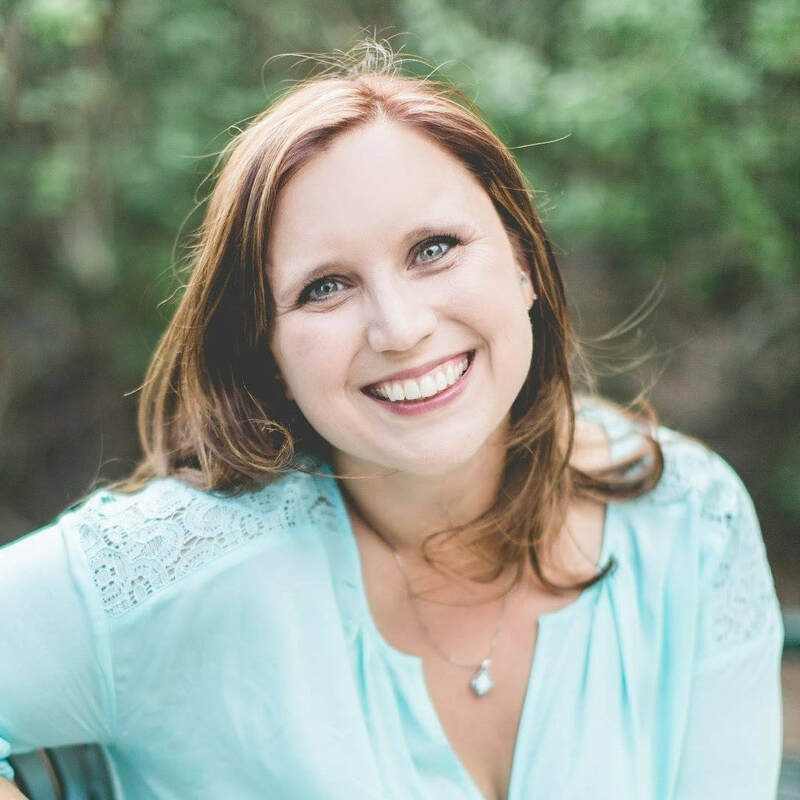 I would say persistence and the ability to stay calm in all situations but I am really bad at "bragging" on myself so here are some quotes from my clients. 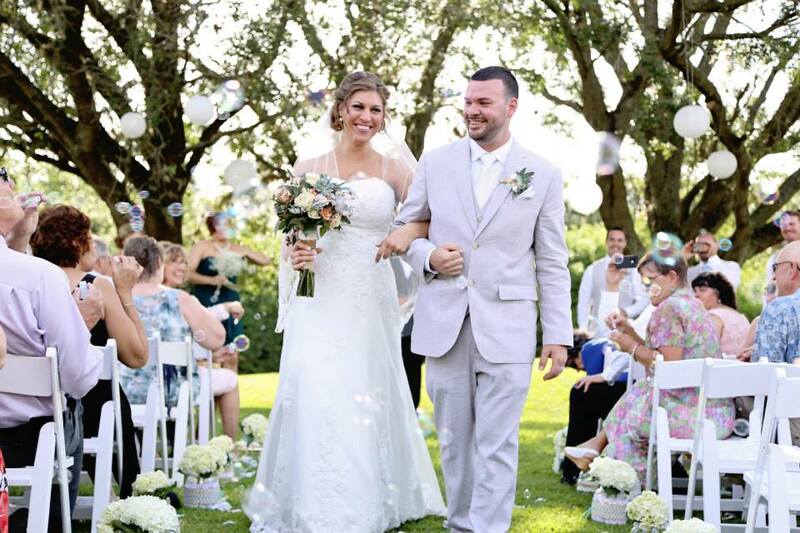 What is your favorite part about weddings? 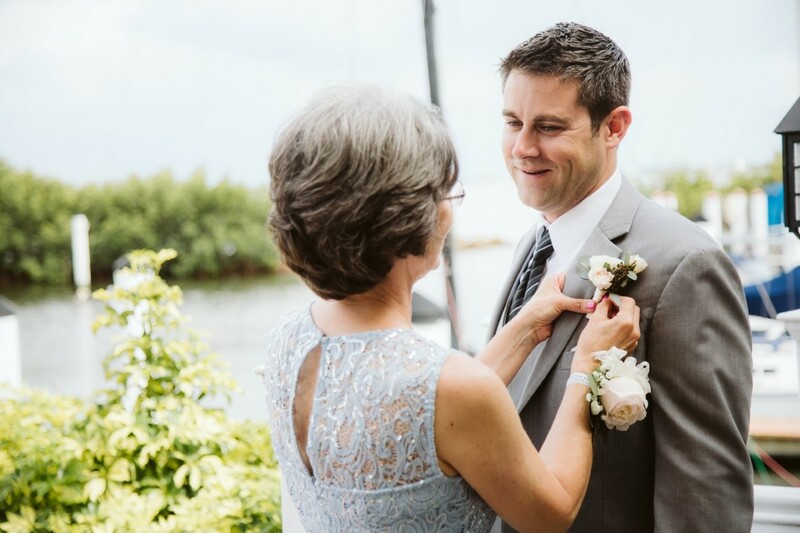 I love everything about weddings but I love seeing love. 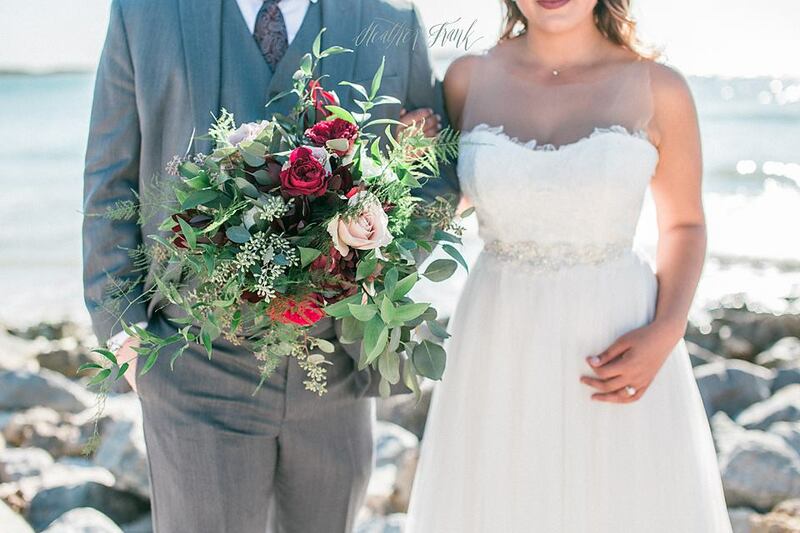 I adore seeing a first look and that adoration in the couples eyes. 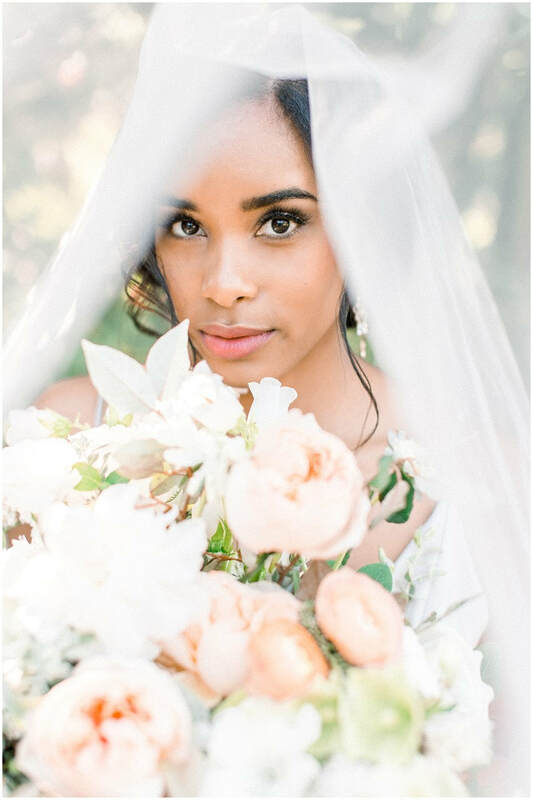 I also melt when I am hiding in the back watching and I see other couples look at their partner or grab hands when they hear the vows once again that they also made at one time. Day of services start at $950 and my biggest full planning package starts at $3750. Where are you located and how far do you travel? I am located in Port Charlotte but I will travel just about anywhere! Tuesday - Saturday 10 am - 6 pm but available by email 24/7 and by appointment after hours. 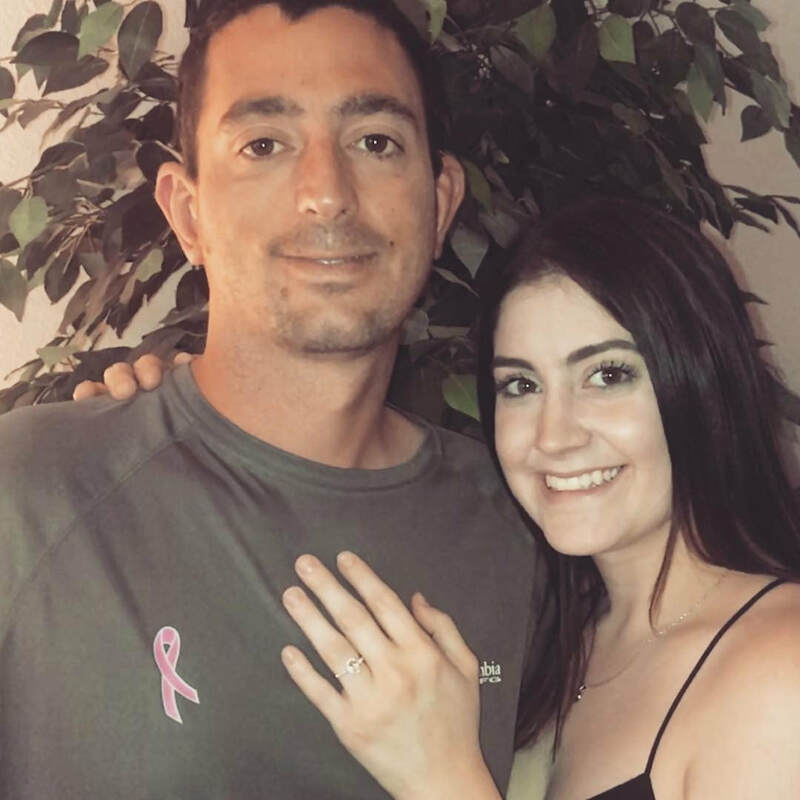 We picked August 18, 2018 because it was a day before our dating anniversary and a day after my Grandma Lynch's birthday... plus it was an awesome date written out! I wanted it to be near my Grandma's birthday to honor her, as I was blessed enough to get her 50 year anniversary wedding set to wear as my own. My gown was absolutely gorgeous. I found it at Charlotte Bridal Boutique. I went in very open minded and they helped me rule out what I liked and what I did not. 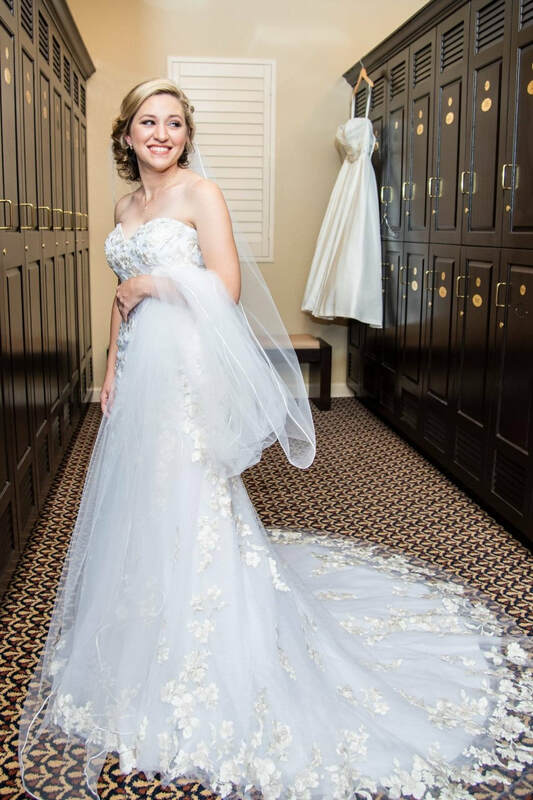 so I got a second gown that was more loose fitted... also from Charlotte Bridal Boutique. He is perfectly my other half. Every attribute that I lack, he allows me to gain through him. 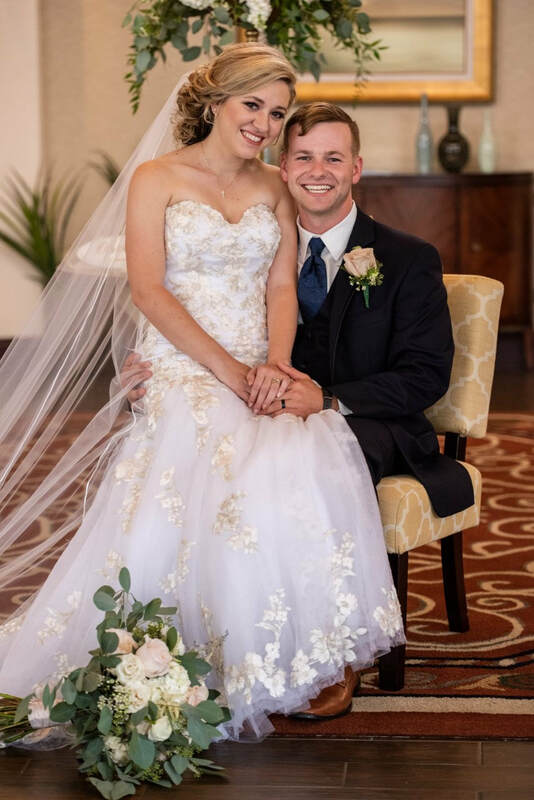 As cliche as it may be, Song of Solomon said it best... "I have found the one whom my soul loves"
We did the old, new, borrowed and blue tradition. We also separated after the rehearsal and did not see each other til the ceremony. 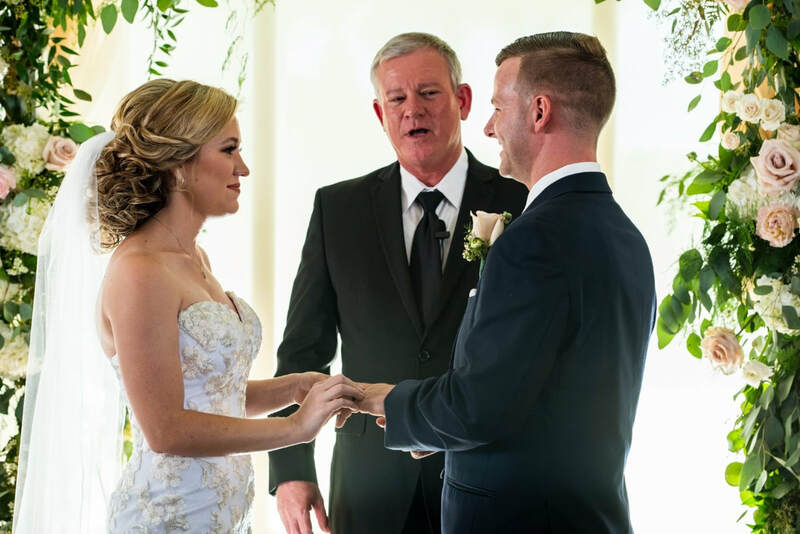 Out of all the crazy surrounding a wedding day, my favorite moment was our wedding vows with Pastor Frank. I know hundreds of people were in the room with us but at that moment, but I only heard and saw Thomas. It was a feeling I will never forget. gave them a few ideas and let them run with it and the setup was more gorgeous than I could have imagined. 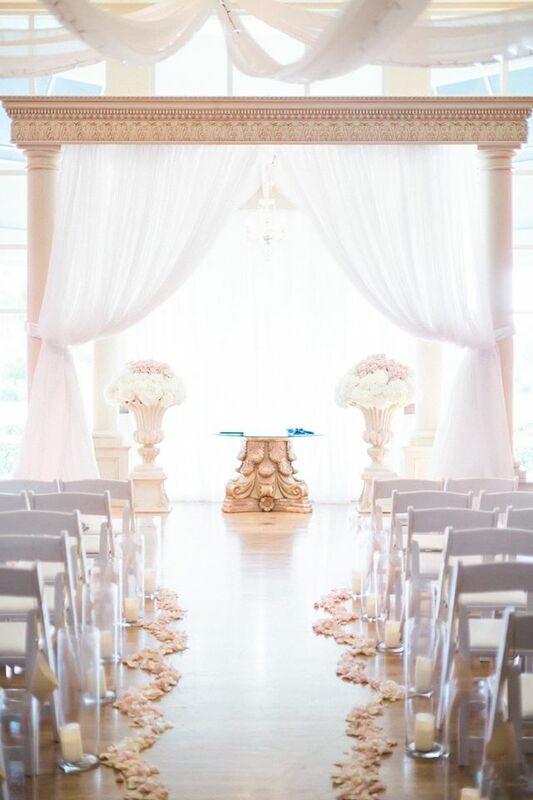 ​The ceremony had a complete floral arch that was breath taking, and garland on the floor to line the aisle. 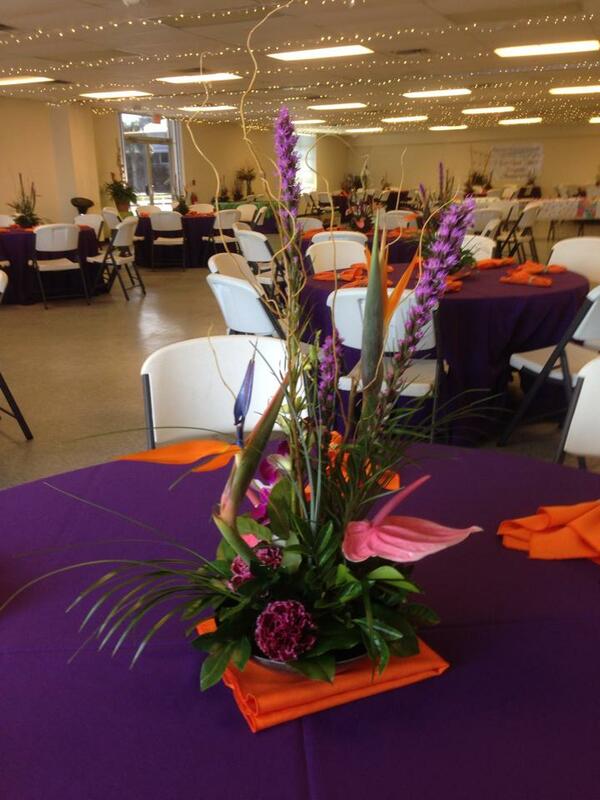 The reception had a mixture of tall elaborate arrangements and lower arrangements. 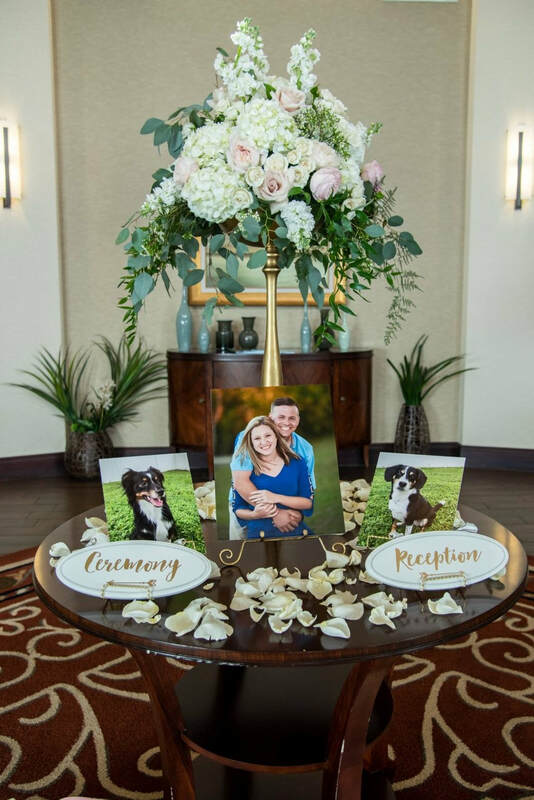 They re-purposed all of my ceremony floral so that everywhere in the reception had touches of flowers. My head table, cake table, and seating chart were all completely covered with perfect floral. 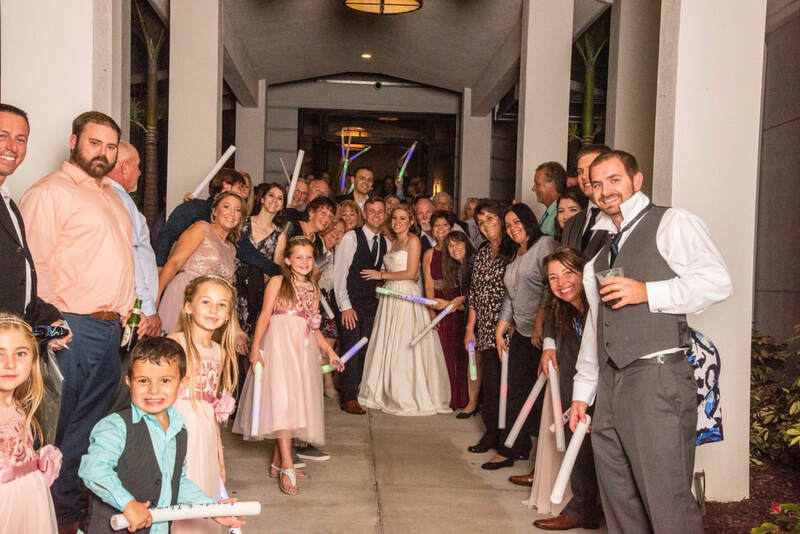 Our wedding day was more than we could have ever dreamed of surrounded by all of our family and friends. Do what YOU want to do. Throw away all the Do's and Don'ts that you read online, don't let anyone make you second guess your decisions and don't be afraid to change the "norms". 10 years this August. We opens August 2009. 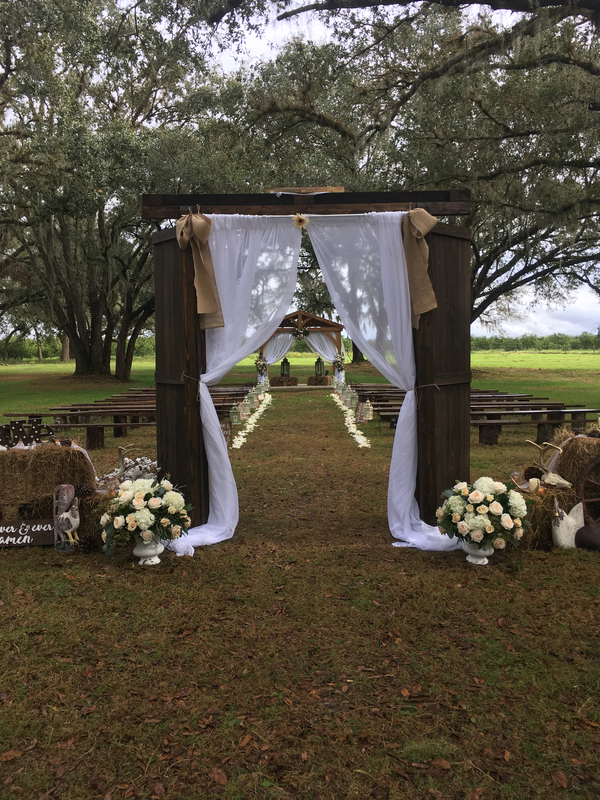 What are your ceremony options? What is your deposit amount to reserve the room & date? $20 - $30 per person. ​Tell us about your chef? 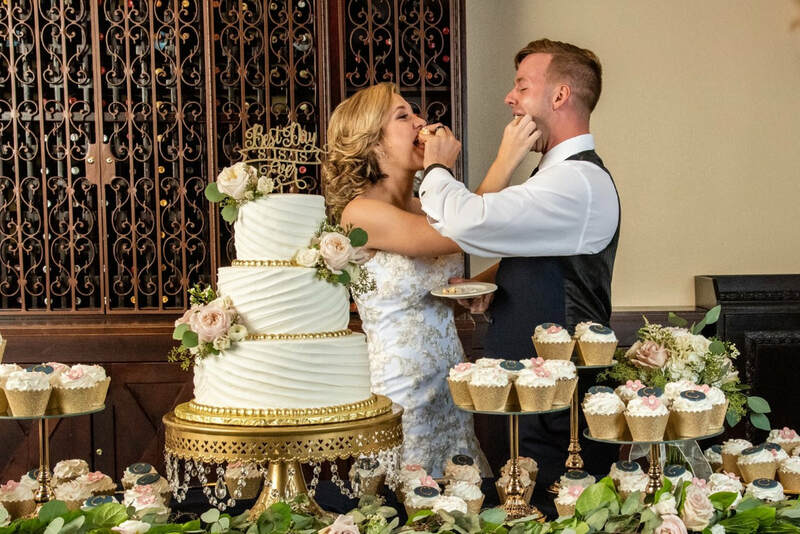 Our Executive Chef has been in the industry for over 20 years and would love to customize the wedding menu of your dreams. I have a microphone and sound system for no additional fee. Screen and projector $50 rental fee. 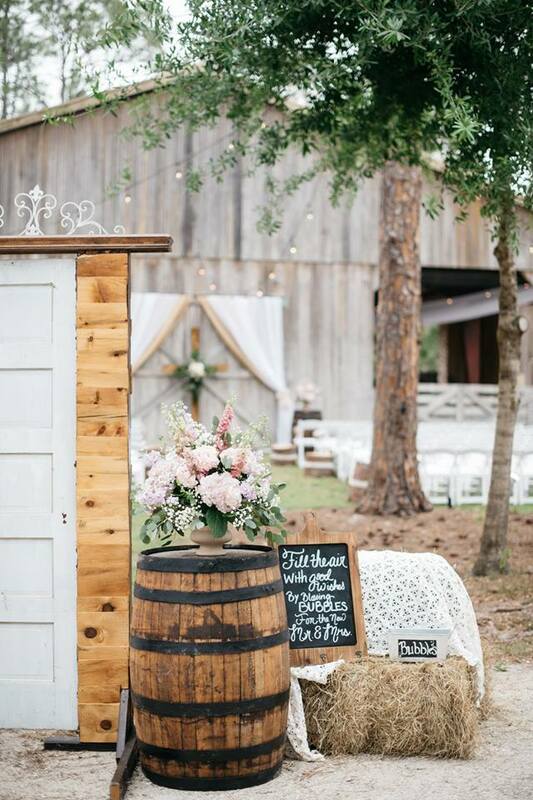 Cash bar, open bar and portable bar options. Our unique location on the water and the several parks and hotels near by. How can a couple reach you? My gown was by Essense of Australia with a beaded top and in the fit and flare style. 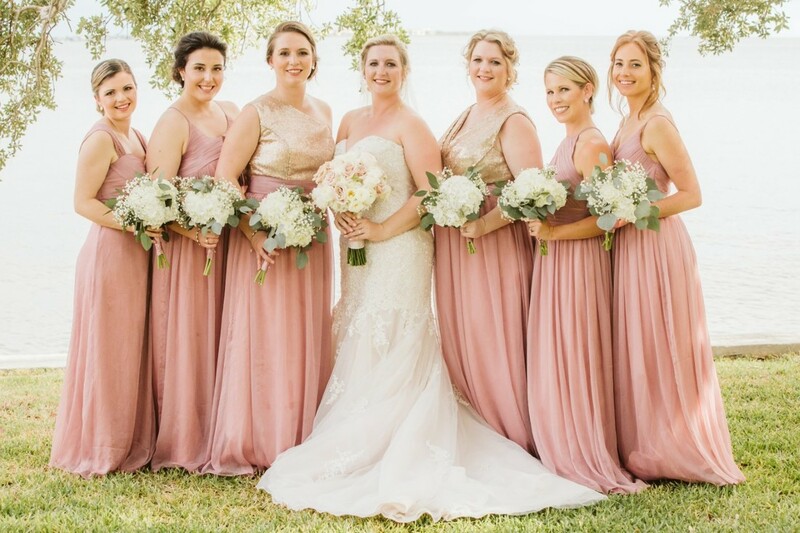 I chose to go with a "blush color" to show my unique style instead of the traditional white. Andrew is hilarious but serious all at the same time. He is always making me feel loved and special and always knows the right thing to say. When it came to wedding planning he was pretty hands off but wanted to stick with a traditional style which I loved. 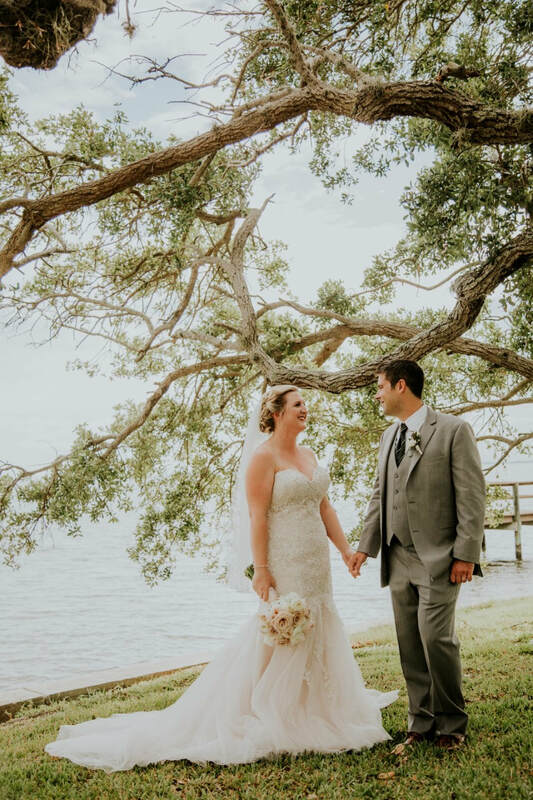 We made sure the first time we saw each other that day was when I walked down the aisle, the anticipation was so high and made for such a special moment. 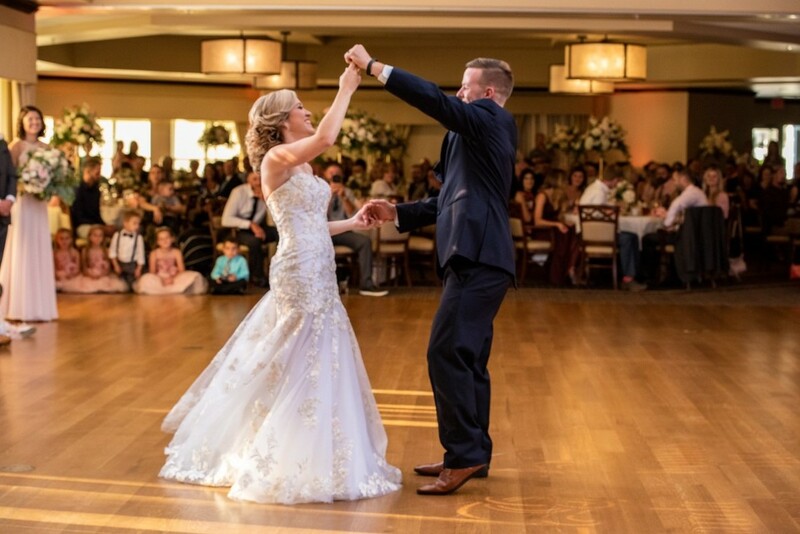 Our first dance was my favorite moment. It was really the only time all night we were able to be just the two of us, even though everyone was gathered around. I wish I could relive that moment over and over. 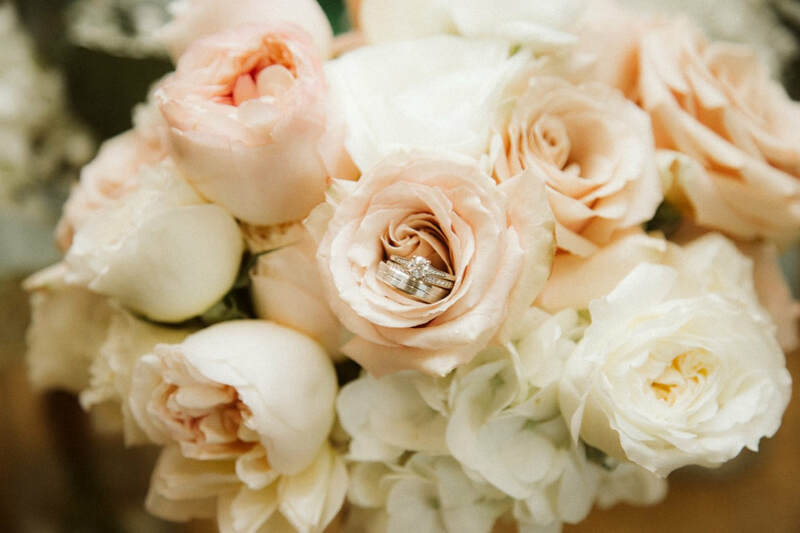 We both wanted very simple, hence the single flowers in the centerpieces, I absolutely love garden roses so we made sure to incorporate them in my bouquet which with very neutral in color which complemented my dress. My bridesmaids carried hydrangeas with complemented the location and spring time feel we were going for. Also, the orchids hanging in the tree for our ceremony were absolutely my favorite part of our decorations. 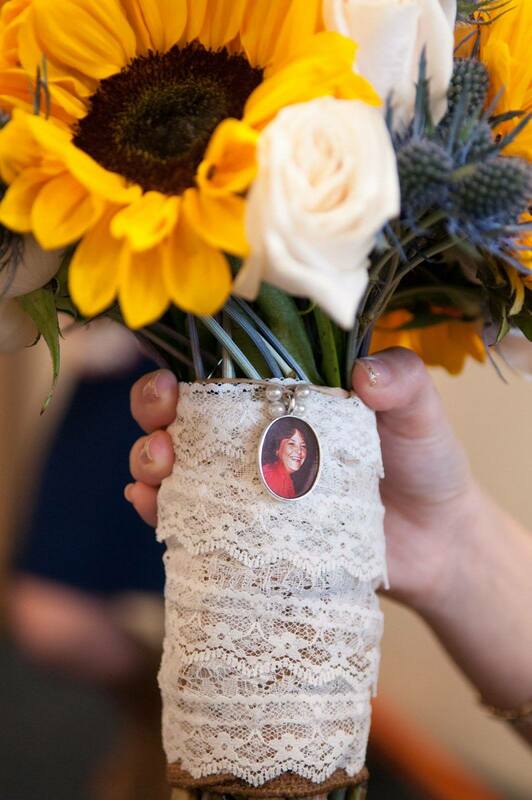 They were so delicate and beautiful and our guests could not stop talking about how much they loved them. They created the perfect backdrop for the moment we said I do. 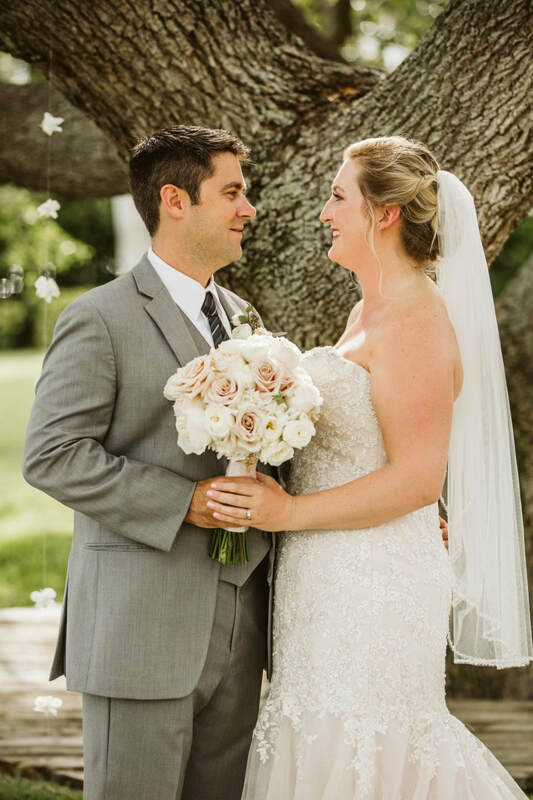 Our wedding day was the most magical day of my life that I wish I could do over and over again. Relax and enjoy every moment and don't sweat the small stuff because before you know it the day will be over. My dad actually introduced Samir + I (unintentionally). My father + Samir's father have been friends for about 25 years. It was Samir's birthday weekend + his father was hosting a pig roast to celebrate. We hit it off pretty much immediately. 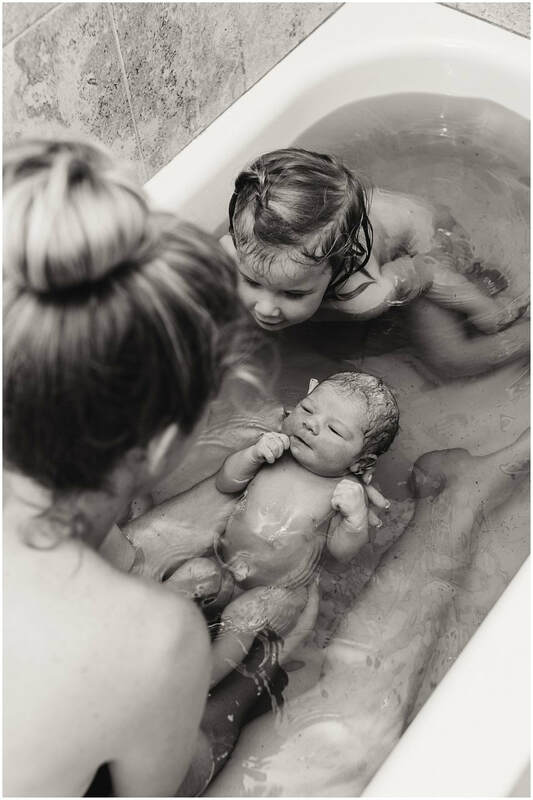 We were both amazed that in the 25+ years our fathers have known each other, we had never met. 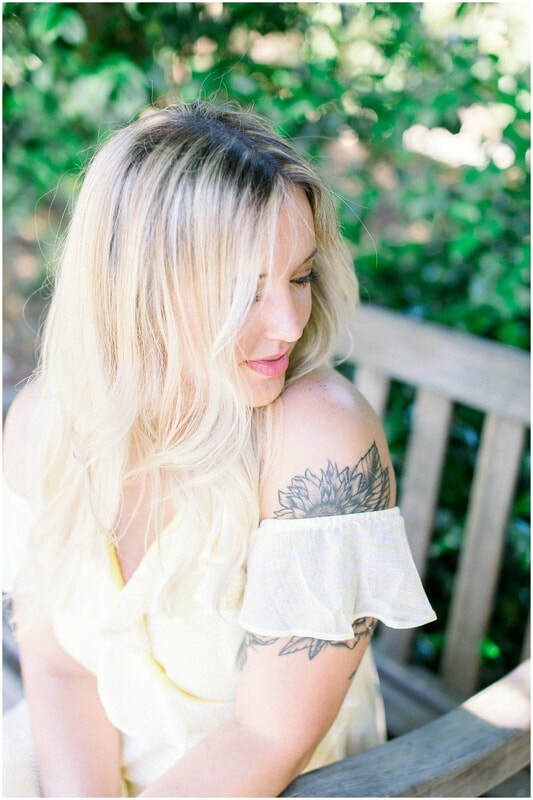 What is the most attractive qualities about your fiance? Samir is the utmost respectful man. He always holds the door for strangers, and without question - if you needed the shirt off his back, he would give it to you. He is also such a hard working, dedicated man. He works 60+ hours a week still finds time to love & spoil me. His mama definitely raised him right! 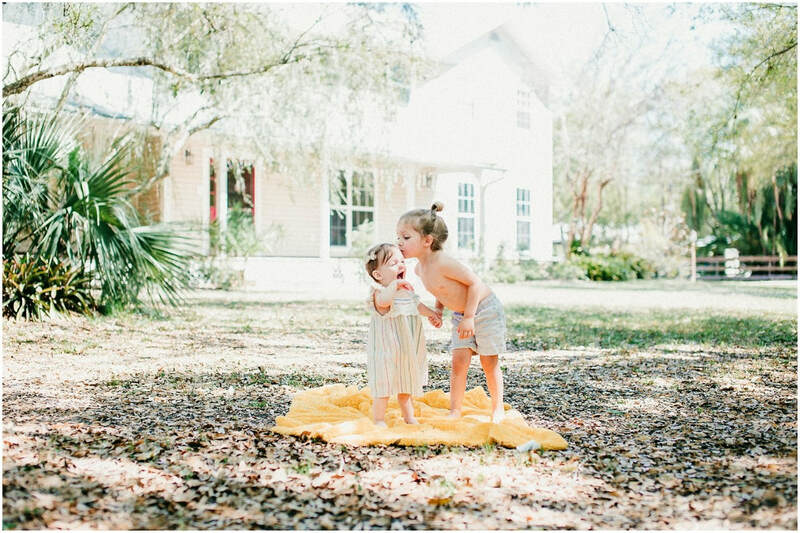 Our first weekend in Savannah. I took a road trip to see him about 3 weeks after we'd met. 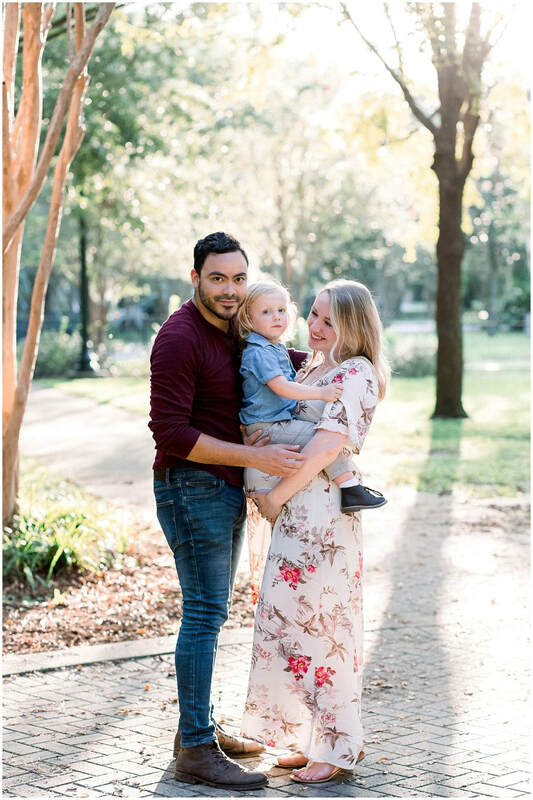 He was living in Georgia, near Savannah for work. That weekend was amazing! We explored the city together, ate amazing food, and honestly I knew I was going to spend the rest of my life with him. That was the weekend I fell in love with him. He proposed at home. He asked me to spend the rest of my life with him, and without a doubt I said YES! 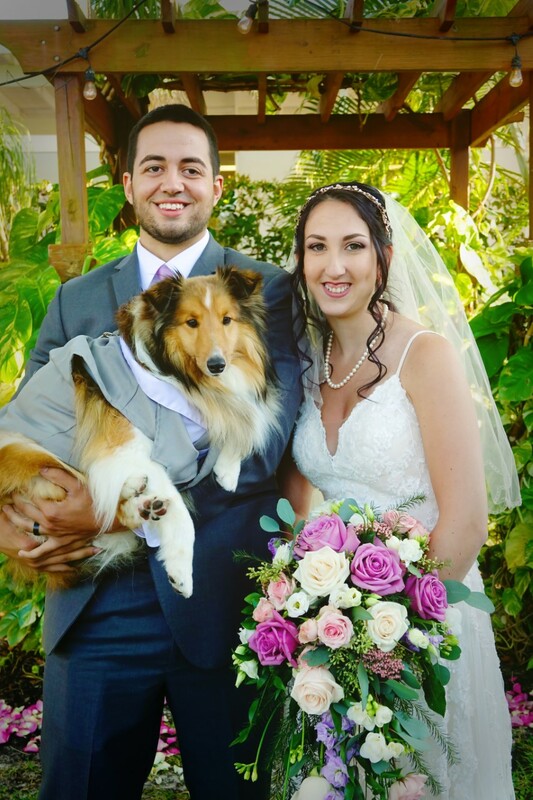 We’ve been doing weddings for over 5 years now. Mainly weddings. But we can do other events as well. 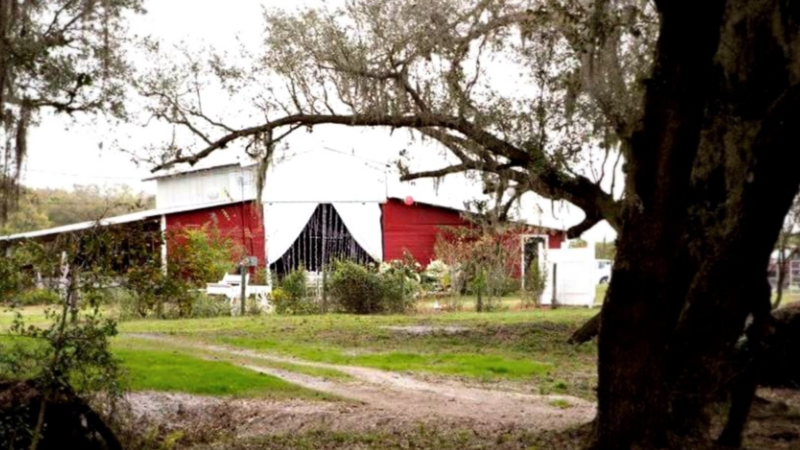 We are rated for 210 in the barn, but usually recommend 150 and under unless they choose to bring in additional tents. We require a $1,000 deposit, but break it into $500 due at time of signing the contract, and $500 due 30 days after receipt of the contract. 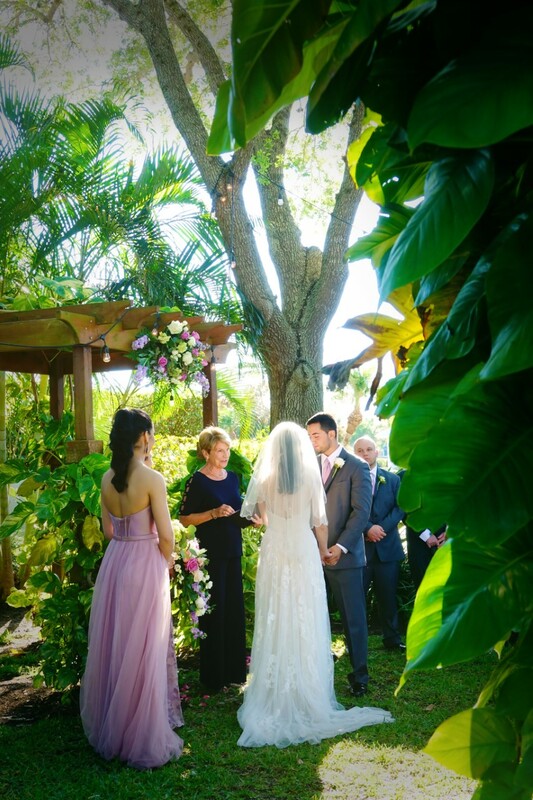 We allow the couple to provide their own caterers. We also offer a bar b w pad if they want to have onsite bar b q cooking. 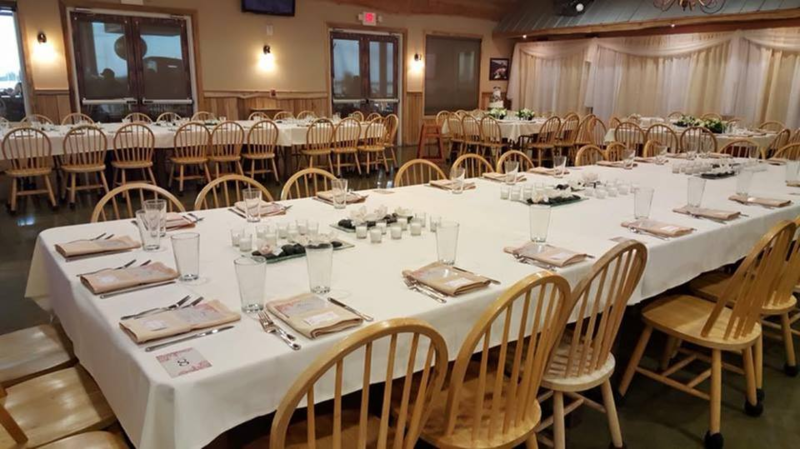 Our venue rental includes the three days, the brides room, grooms room, caterers corner, claw foot tubs for sodas, water, etc., restrooms, fire pit and wood, whiskey barrel bar, ceremony site with rustic woodland benches, and tables and chairs for the reception for up to 150 people. 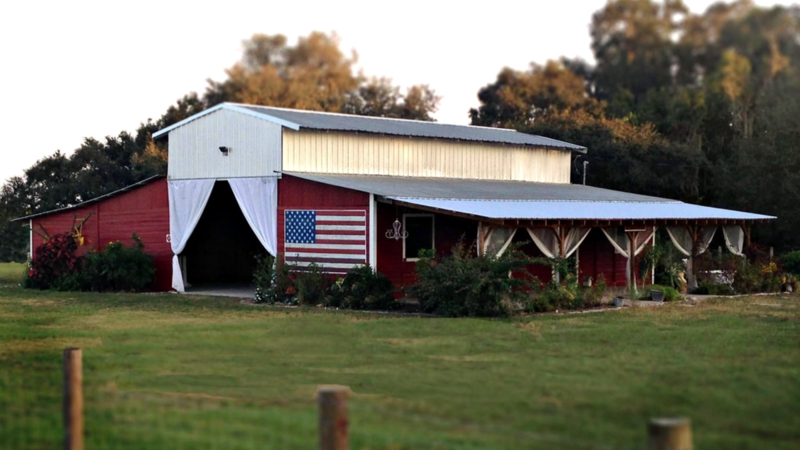 Also includes the barn curtains, chandeliers, and lighting. We have also just completed a 30 x 24 outdoor area perfect for dining or dancing under the stars. Our current price is only $3,500 for all of this if you book in 2018-May of 2019. Now accepting bookings for 2019 and 2020. 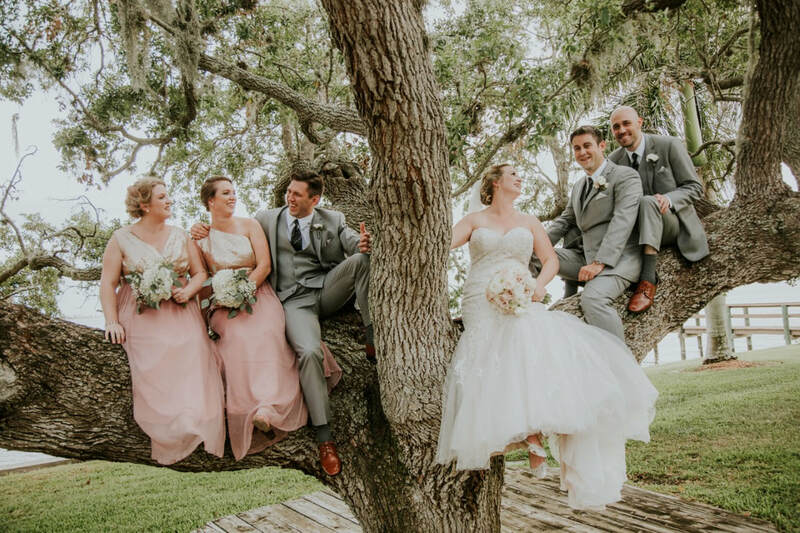 We tell couples that they are the artists, the Oaks is their canvas, and we want them to “paint” their wedding the way they and Pinterest envision. 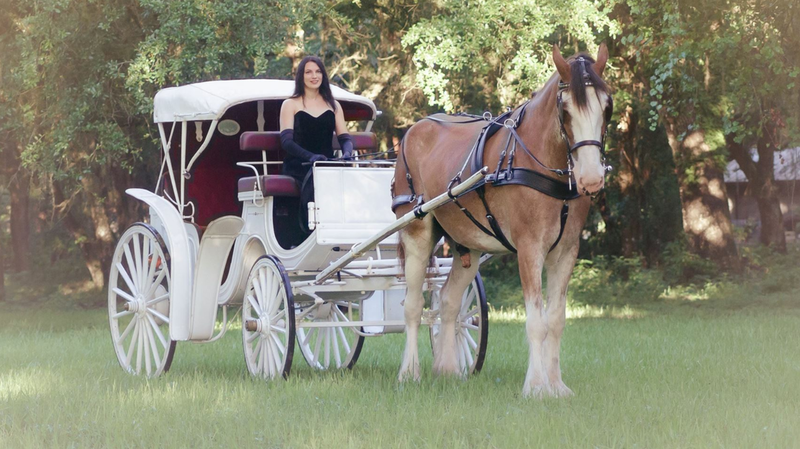 We also offer a Clydesdale and princess carriage option at an additional $500. 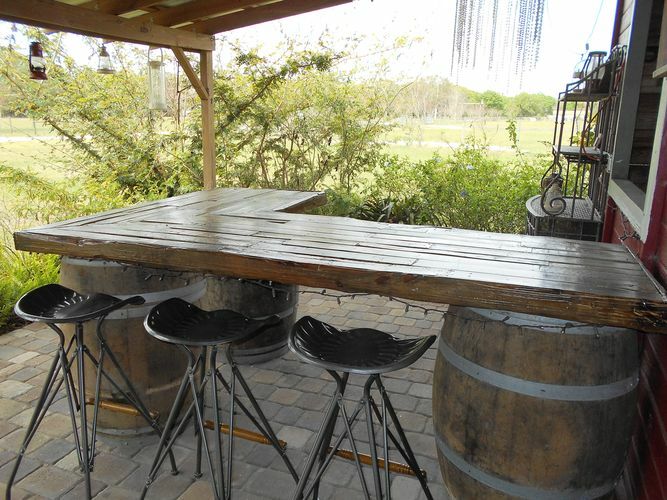 We provide the whiskey barrel bar, they provide their beverages and their bartenders. 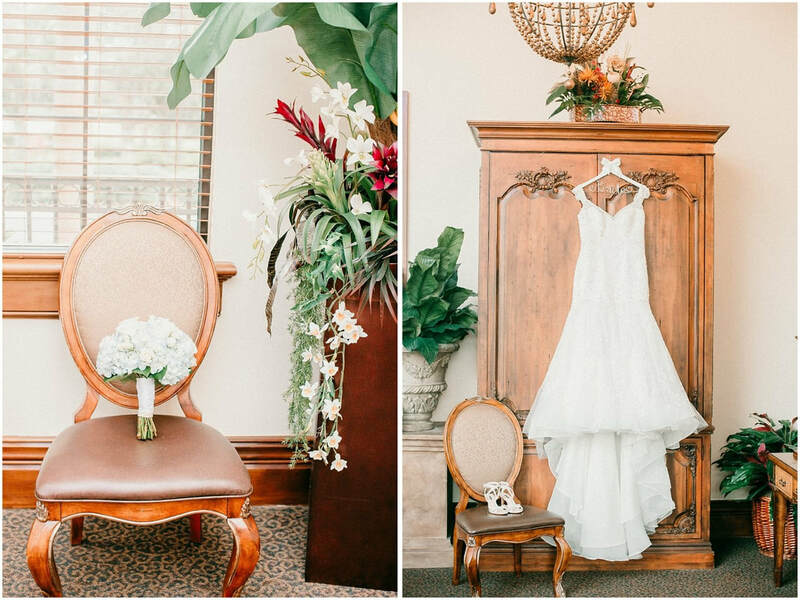 We are the epitome of rustic elegance. 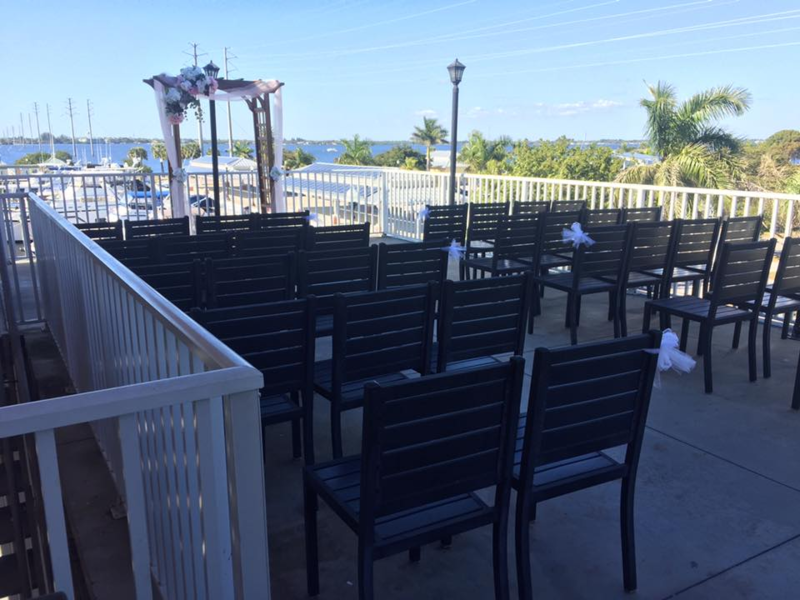 Looking for the perfect venue in Punta Gorda to host your next wedding, party or other special event? 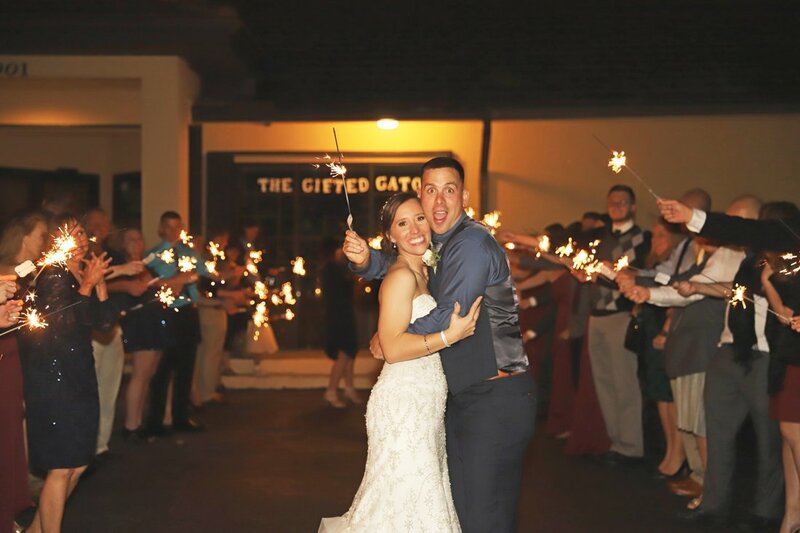 Look no further- here is the 10 Best Punta Gorda Venues. 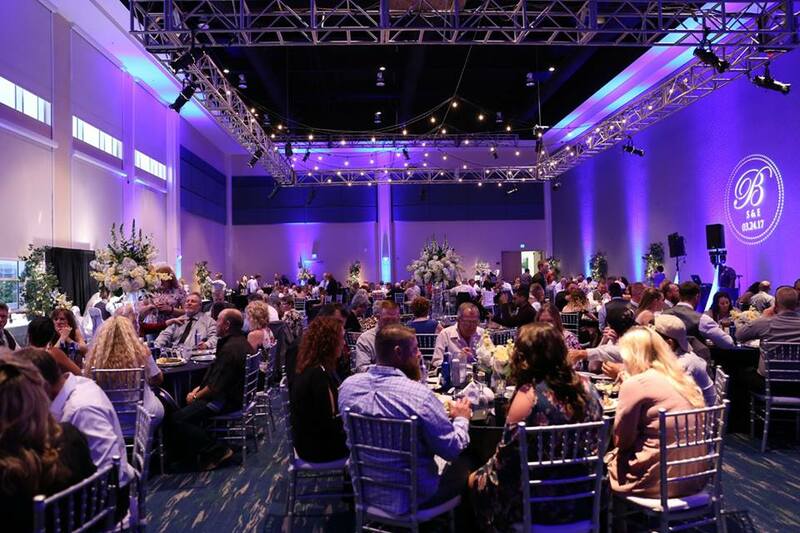 1) Charlotte Harbor Event & Conference Center tops our list with it's waterfront views and banquet seating for up to 1000. 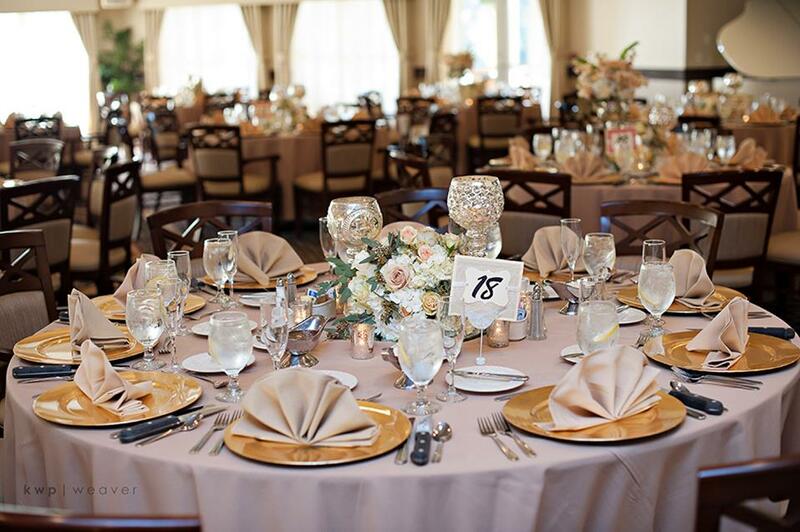 The Charlotte Harbor Event & Conference Center has the size to hold just about any event. Located at 75 Taylor Street Punta Gorda, Florida 33950. 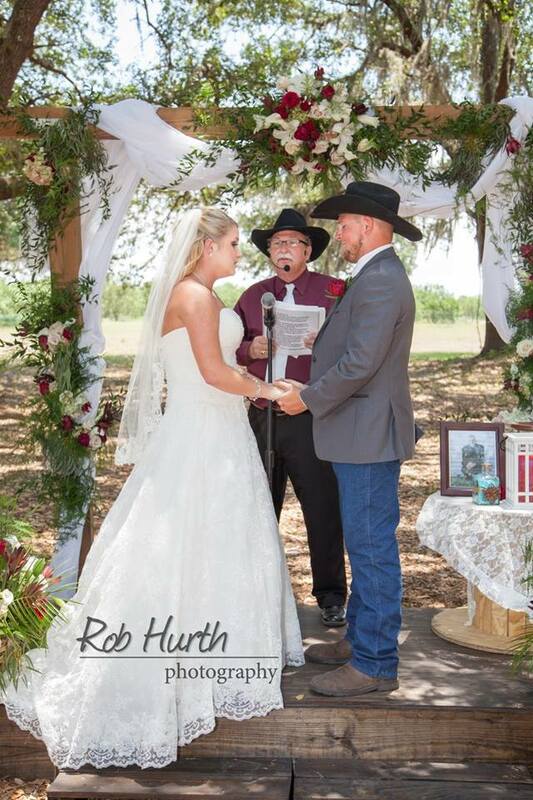 2) Cypress M. Ranch- If your looking for an authentic ranch wedding Cypress M. Ranch is the place to book! 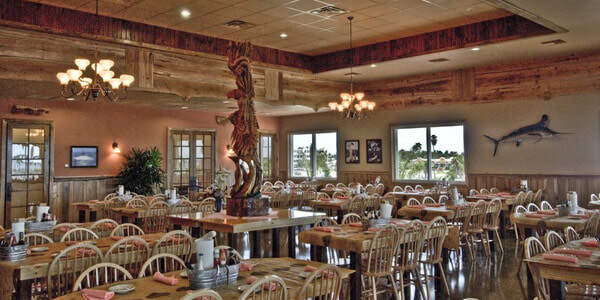 With it's private bridal cabin and cowboy quarters, a newly remodeled catering kitchen and on site restrooms. 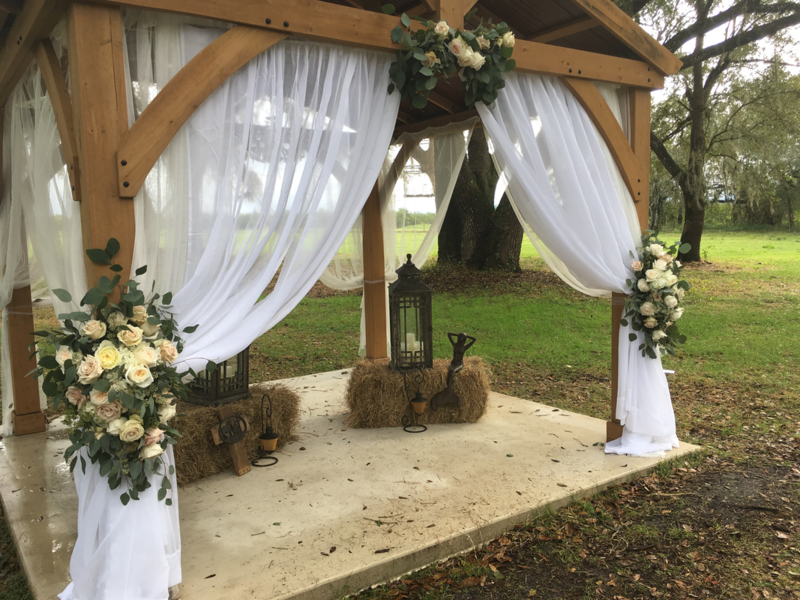 This property is perfect for your country chic wedding. 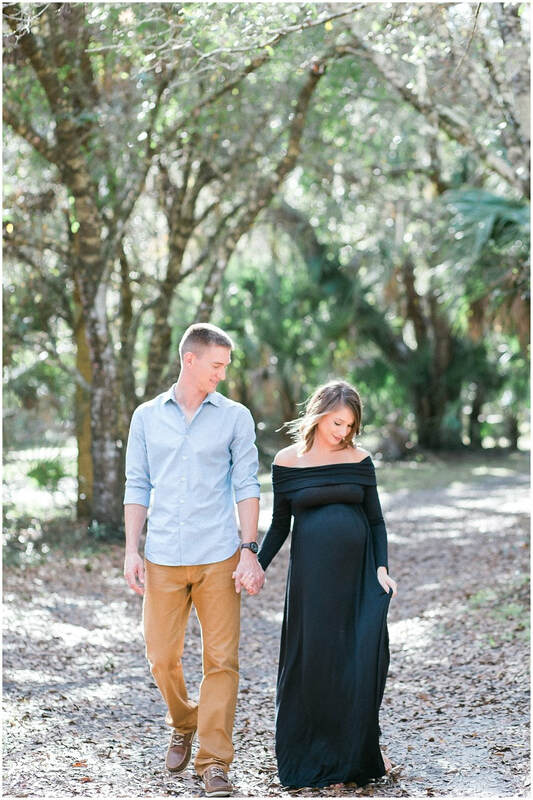 Located at 43650 Bermont Road Punta Gorda, Florida 33982. 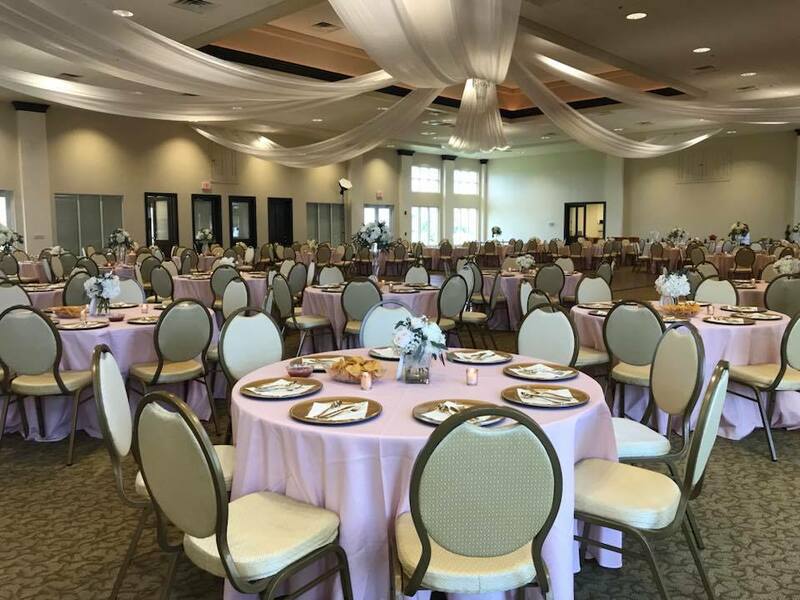 4) Punta Gorda Isle Civic Association- The PGICA is a perfect blank slate for any wedding or special event. 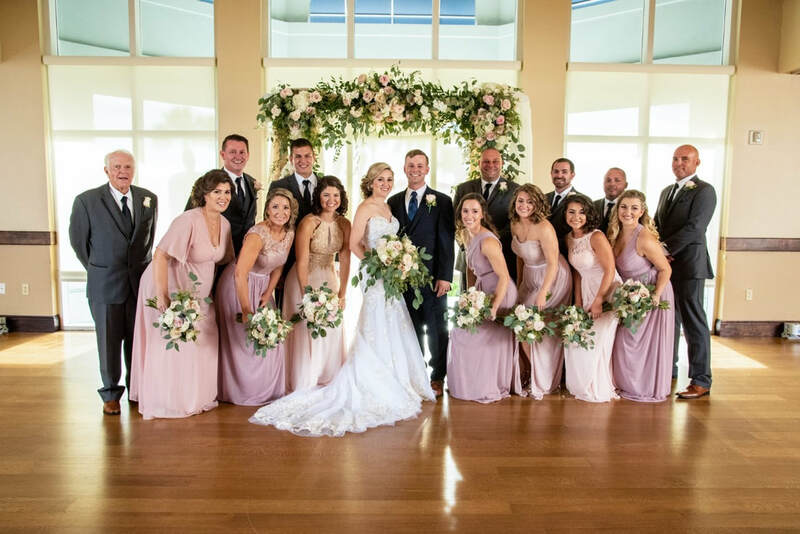 With ample space in both the auditorium and meeting rooms it fits most wedding sizes just right! Located at 2001 Shreve Street Punta Gorda, Florida 33950. 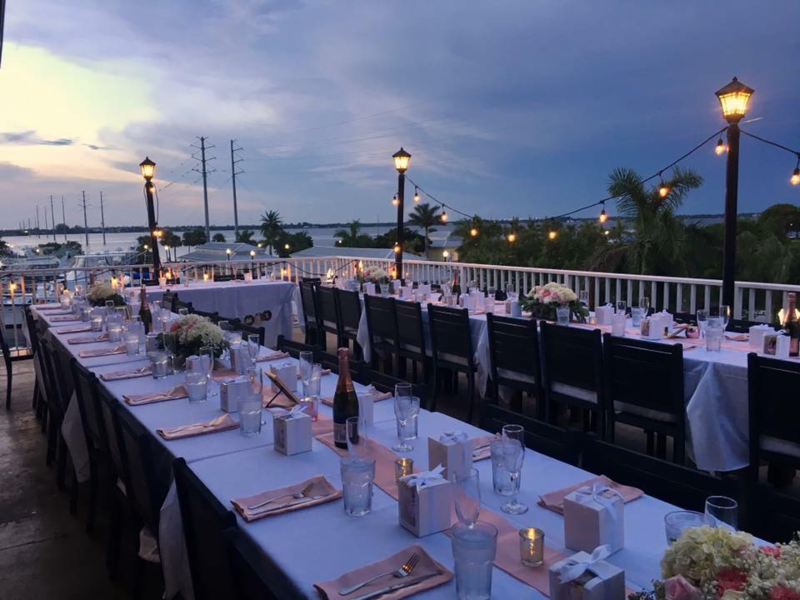 5) The Wyvern Hotel - With Punta Gorda's only roof top bar the Wyvern Hotel has got the edge on sophistication. 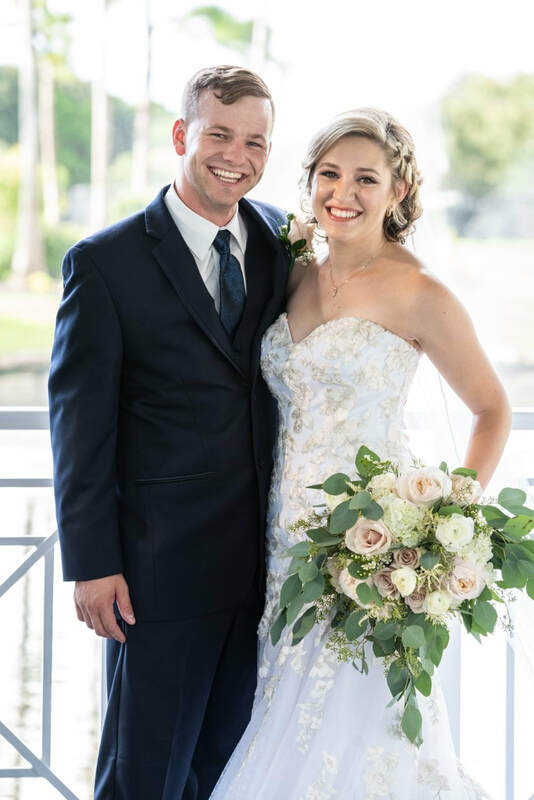 With their newly remodeled restaurant 88 Keys and the banquet/meeting room - River Room on the first floor you have two options for your intimate wedding with a cocktail hour on the roof top and accommodations for your guest all wrapped up in one hotel. Located at 101 E. Retta Esplanade Punta Gorda, Florida 33950. 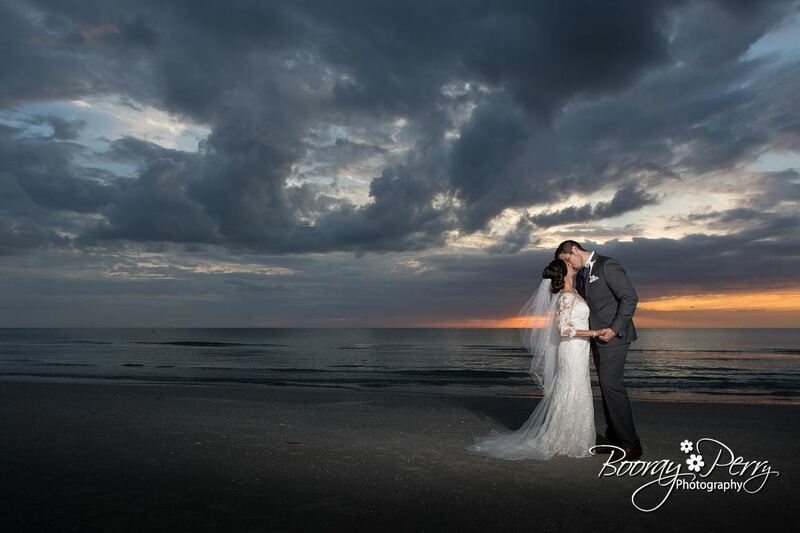 6) The Bayfront Event Center is a perfect blank slate for all kinds of special events. Not only do they include full use of all the tables and chairs the affordability of this venue is a major perk. Located at 750 W Retta Esplanade Punta Gorda, Florida 33950. 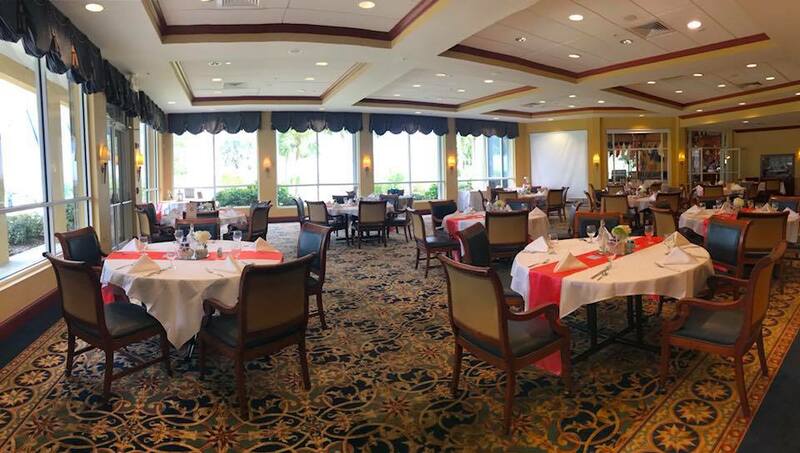 7) Punta Gorda Woman's Club has a large, open floor plan and the rental price includes full use of the stage and outdoor gardens. 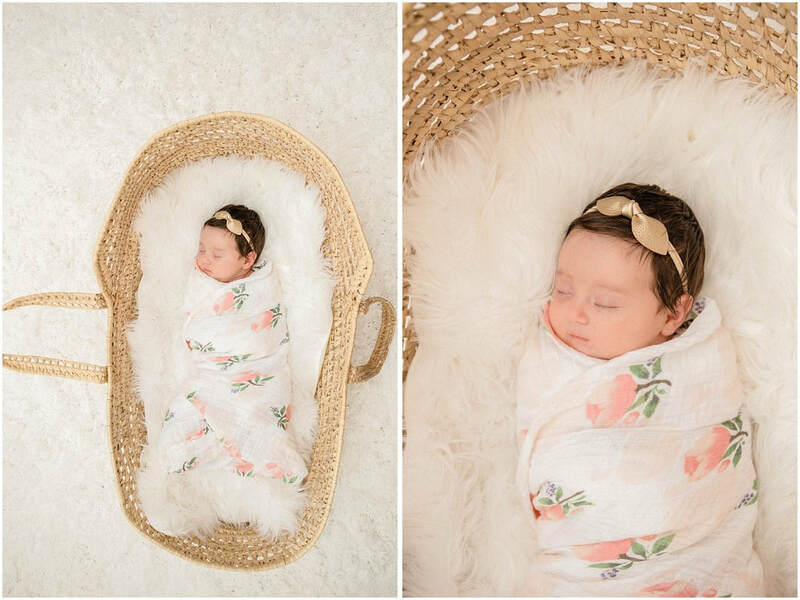 What a little gem! Located at 118 Sullivan Street Punta Gorda, Florida 33950. 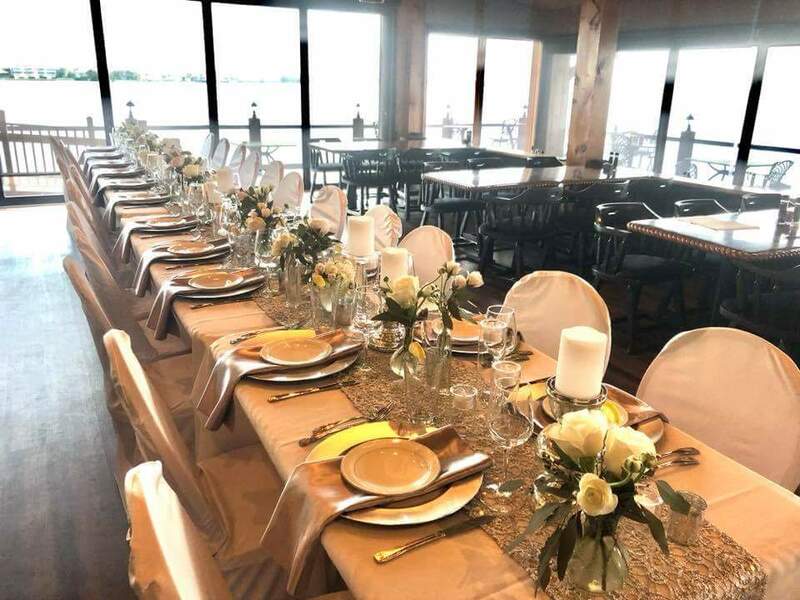 8) Captain's Table located at the end of Fisherman's Village offers picture perfect views of the water and delicious cuisine for a wedding up to 75 guests. Located at 1200 W. Retta Esplanade Punta Gorda, Florida 33950. 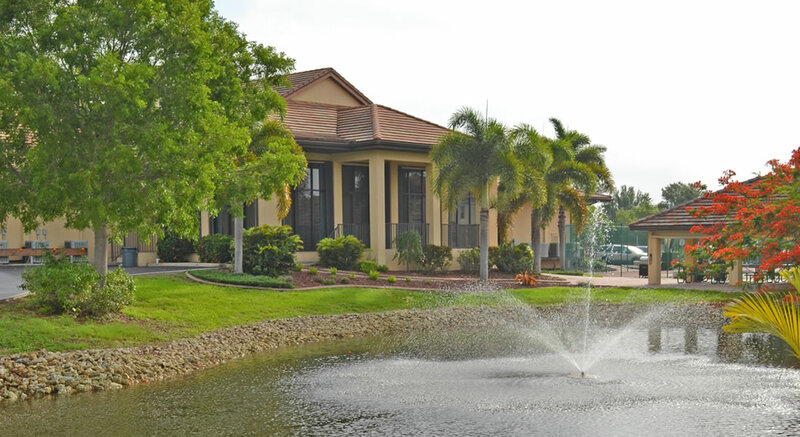 ​9) Twin Isle County Club- Enjoy golf course views at the country club located at the southern end of Punta Gorda at 301 Madrid Blvd. 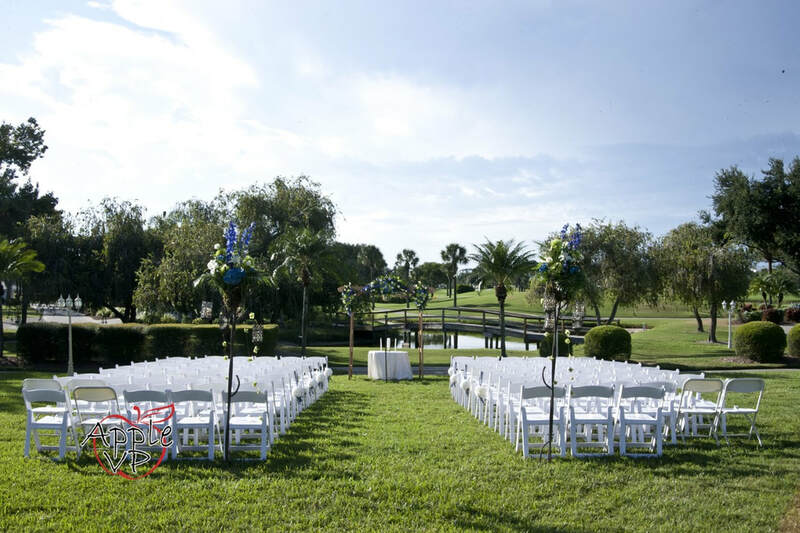 10) Four Points by Sheraton has the perfect lawn overlooking the beautiful Charlotte Harbor. 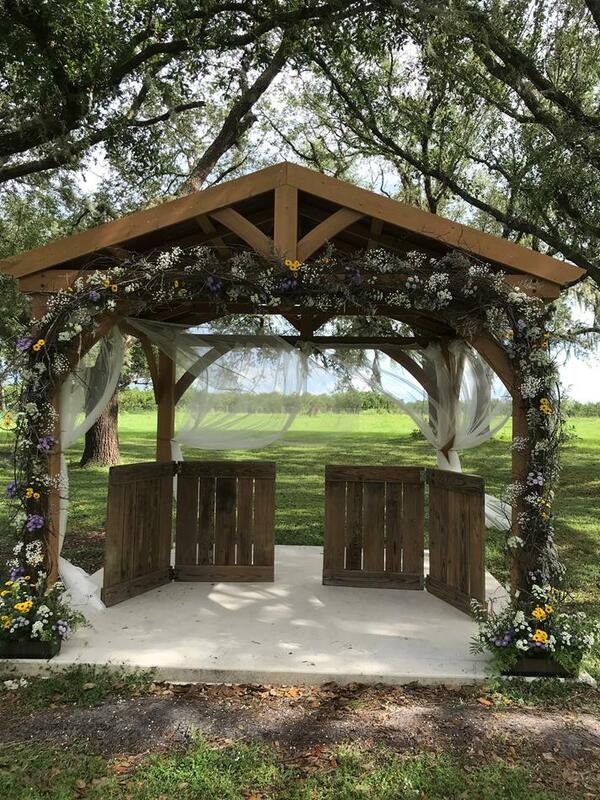 Perfect spot to host an outdoor event under the stars or a tent. Located at 33 Tamiami Trail Punta Gorda, Florida 33950.